In this special edition of our HR Bulletin, to help with your holiday planning for 2018, the team at Human Resources has rounded up the 10 most helpful stories over the past year – from public holiday dates and long weekends, to how to stay unplugged during your vacation. The Ministry of Manpower has released the list of Singapore’s public holidays for next year, with the good news of four long weekends (with holidays either falling on a Friday or Monday) in 2018. 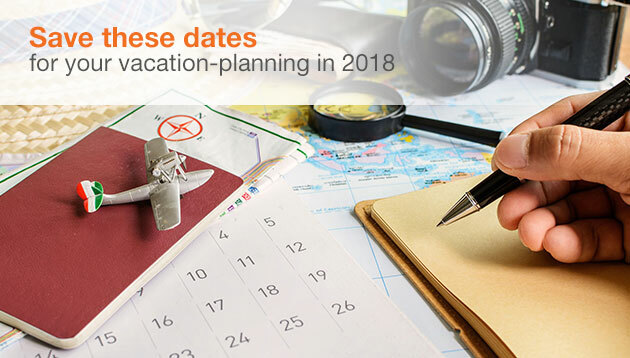 It is never too early to plan ahead for your holidays, since applying for leave can be a “mission impossible” at some organisations in Hong Kong. Aren’t the best vacations those when you don’t have someone calling from the office talking about putting a fire out? While more time off has often been cited as a top perk desired by employees, new research questions whether such a perk is actually being effectively used by staff today. A survey by Namely has found that attitudes towards vacation days are starting to shift due to increasing demands of the workplace. A heavy workloads would seem like one of the prime reasons for professionals to go on vacation. New research, however, points to the opposite. If you enjoyed these interviews, you can also stay posted on our latest news and conversations by following Human Resources on Twitter, Facebook, and LinkedIn, or signing up for our daily HR Bulletin. Enhanced internships and earn-and-learn will stay relevant, while SPRING and WDA will support retailers on 100 HR capability proje..